Fablab Bhutan team express our deep sense of appreciation and gratitude to Royal Education Council and Ministry of Education. This is a testimony of strong collaboration, cooperation and friendship among our organisations. Very proud, honored and simply excited to join students from more than 170 nations across the globe to share, care and exchange. 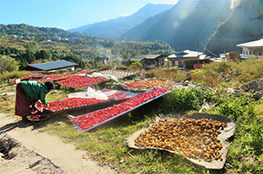 We Bhutanese just love our Ema Datshi, our prized national dish of Chilies and Cheese. It is a great honor to speak in front of global and national icons and advocates on fabrication and innovation. 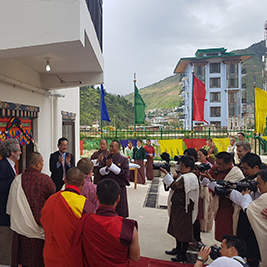 First of all, I would like to congratulate on the formal launch of the Fab Lab Bhutan, not only as s chief representative of the Japanese development agency , but also as one of the citizens interested in making the things we want. The awaited moment finally arrived on the 20th of july 2017. Prime Minister of Bhutan Lyonchhen Tshering Tobgay together with the Professor Neil Gershenfeld (Director of MIT) followed by The JICA Chief Representative Koji Yamada, Representative from Education Ministry,Representative from Labour Ministry,Representative from trade Ministry, Massachusetts institute of technology delegations,(USA). Representative from Bhutan Toilet Organisation ,Representative from Green Road,Representative from Dumba 3_D works,Private firms and the invited guest, officially launched fablab Bhutan. 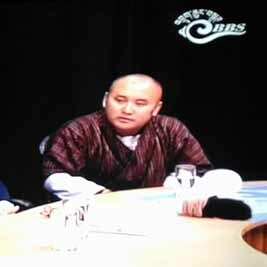 Watch National Television´s program – Current Affairs Program tonight at 9.30 PM.